Copa América Centenario kicked off Friday night with a star-studded opening ceremony and nerve-wracking soccer match between Colombia and the United States. In case you missed it, Colombia won the first group A match against the U.S. national team with a 2–0 score. Before the big game, a pumped crowd enjoyed the opening ceremony that included a performance by Magic!, Jason Derulo and J Balvin. The Colombian urban artist event shared his excitement on social media, expressing how proud he felt for being the only Latino artist invited to perform at the renowned showcase. 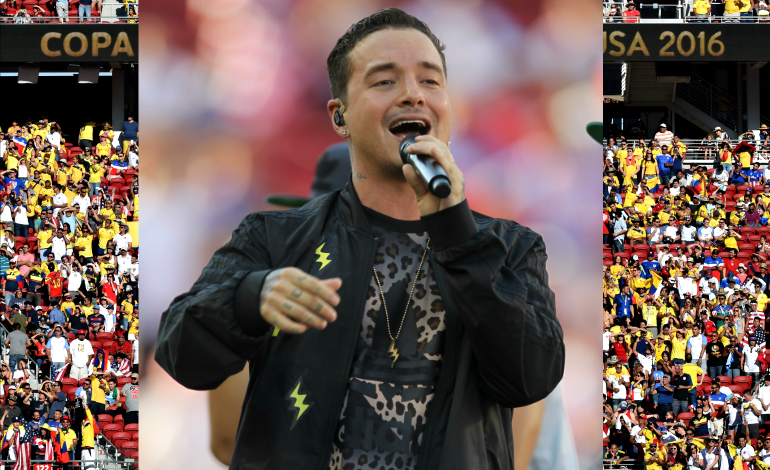 In a performance that took place at the Levi's Stadium in Santa Clara, California, Balvin took the stage after reggae group Magic! and performed two of his mega hits: "Ginza" and his newly released "Bobo." Derulo closed off the showcase with his jam "Want to Want Me." Check out Balvin's performance below, followed by complete Copa América game schedule and videos of the rest of the opening ceremony. This year's Copa features two confederations, Conmebol and CONCACAF. Other highlights include a reunion between 2015 Copa America finale teams Argentina and Chile and a Gold Cup 2015 final rematch between Mexico and Jamaica. The 2016 Copa America will run from June 3-26, with a total of 32 matches.